Your “one-stop-shop” for all things Pokémon related Serebii has been exceptionally busy as of late. 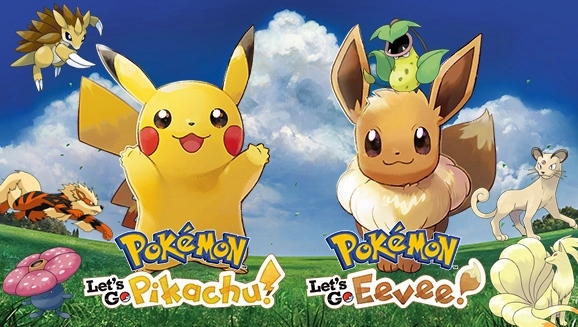 They were invited by The Pokémon Company International to play Pokémon: Let’s Go Pikachu / Let’s Go Eevee. They didn’t just get a sneak peak preview either, oh no. Serebii were lucky enough to play a significant amount of the game and got to venture to Pewter City, Viridian Forest, Viridian City and Pallet Town. Serebii also got to experience their first Pokémon battle with their Rival and tried out co-op. During our own playthrough session back in July at a closed doors presentation hosted by Nintendo Spain, We too played Pokémon: Let’s Go Pikachu / Let’s Go Eevee. However, during our hands-on preview, we could only play around in Route 1 and we weren’t allowed to capture footage. That was a few months back though and as we approach ever closer to the release date of Pokémon: Let’s Go Pikachu / Let’s Go Eevee, more and more details and footage can be shared from the game. Serebii have uploaded some videos to YouTube of captured footage during their playthrough of Pokémon: Let’s Go Pikachu / Let’s Go Eevee. We have embedded a couple of them below but if you want to see them all, be sure to check out Serebii’s YouTube Channel or Website.